Aurora Preferido Corojo Gold Ed. 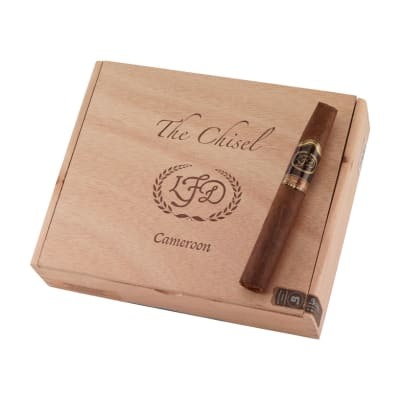 cigars are a real cigar smoker's cigar. Each luscious double perfecto has the most select, perfectly cured Dominican, Cameroon & Brazilian tobaccos rolled in rare, Dominican Corojo leaves for a bold, yet smooth and satisfying must-smoke experience. Get yours now. I admit, I wasn't initially that impressed with my first one. But the next day, it was heavy on my mind to try another. The burn, construction and such were perfect. 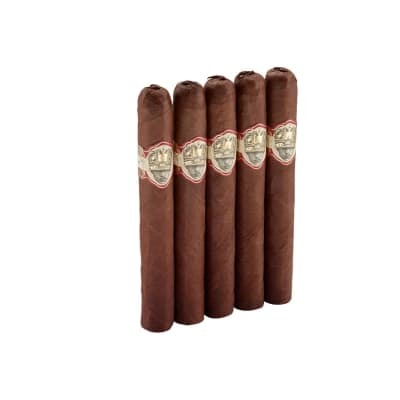 They just seemed a bit short and not too complex for a cigar of this price range. However, I couldn't resist trying another. The flavor was the same (as was the excellent construction), but it was the flavor I expected this time. Not 'overly' complex, but very plesant. I've had several now, and saving for my first box. A great cigar, no doubt. But a financial investment. I'd say it's well worth it, as long as you can afford to plunk down the cash. I also found it much more enjoyable then the silver version. Good but the La Aurora Preferido maduro is better. Good but the La Aurora Preferido #2 maduro is better. 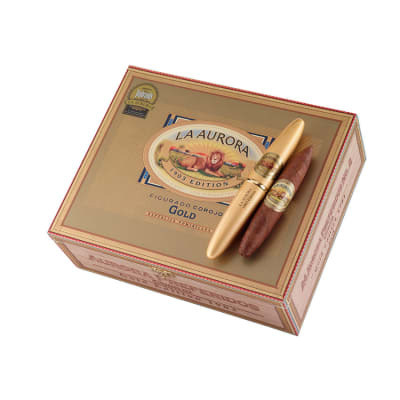 When you compare between these two Cigars, I think that the La Aurora Preferido #2 maduro is better tasting then the Gold Tube, or the Red Tube. However, they are all worth trying; but for the money I think the La Aurora Preferido #2 maduro is a better buy.